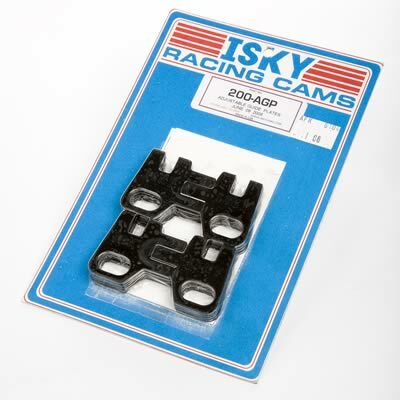 Isky claims that the Comp XE cams violate the 47.5% rule. 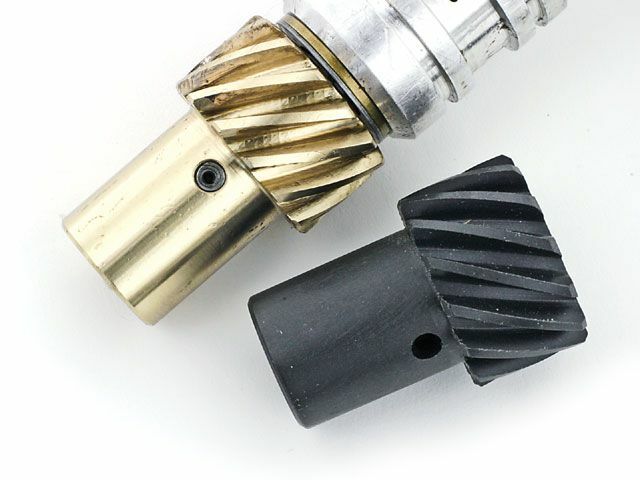 The 47.5% rule applies to flat tappet cams for SBCs with 1.5 rockers but the concept is still the same for other configurations where the designs are "on the edge" or "over the edge" for lobe intensity. 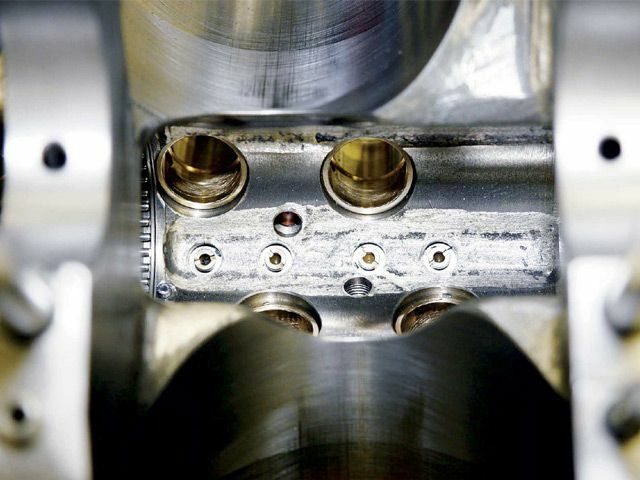 For 1.5 ratio SBCs, the duration at .050 must exceed 47.5% of the total valve lift or your asking valve train problems. For example, take a Comp Cams Magnum 280H, with 230 duration and, 480 lift...230/.480 = 47.9% which exceeds 47.5% therefore would not pose a threat to components. We do not regularly hear about the older, safer HE and Magnum designs rounding off lobes anywhere near as often as the XE cam designs. Unfortunately, some of the Comp Cams XE dual pattern lobes break this 47.5% rule on the intake side so they are likely to be problematic. The design has "steeper" ramps that are too quick for durability and reliability according to other cam manufacturers. They will wipe lobes in a heart beat especially if you have not followed the proper break-in procedure. Other designs are more forgiving during break-in and less likely to fail. Single Molecule of MolyMoly exists as microscopic hexagonal crystal platelets Several molecules make up one of these platelets. A single molecule of Moly contains two sulfur atoms and one molybdenum atom. Moly platelets are attracted to metal surfaces. This attraction and the force of moving engine parts rubbing across one another provide the necessary thermochemical reaction necessary for Moly to form an overlapping protective coating like armor on all of your engine parts. 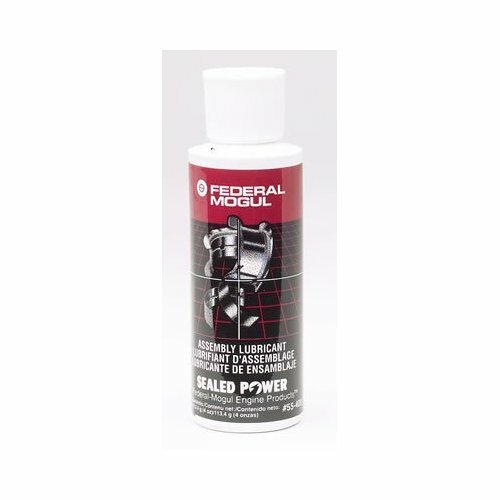 This protective armor coating has a number of properties that are very beneficial for your engine. spraying the cam surface with moly and then coating it with moly assembly lube before installation tends to help. CRANES Super Lube Break-In Concentrate is an anti-wear additive formulated with a high concentration of special zinc dithiophosphate to provide sustained protection against cam lobe and lifter scuffing and wear. 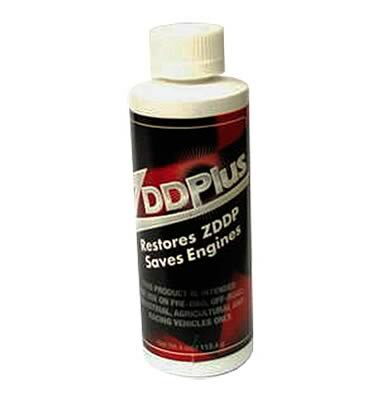 This oil supplement is to be added to the engine oil for the initial break-in period after the installation of a new camshaft and lifters. 20 psi is about normal for your typical 3/8 drill,max pressure is not nearly as important as checking flow, and for leaks where there should not be leaks, with an engine primer tool,Ive brazed a socket to the top of my oil pump primer and use the 1/2" drive air ratchet to drive it, it won,t heat up and burn up like a electric drill will. 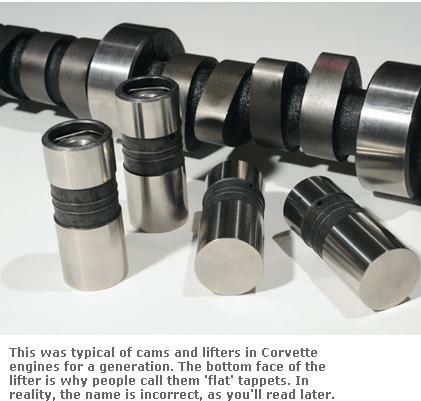 If you are building a big block Chevy with a flat tappet cam, (solid or hydraulic lifters) be careful during the initial engine break in. It is very easy to lose a cam lobe and lifter during initial break in. This is especially true with a higher than stock lift cam and higher pressure valve springs. 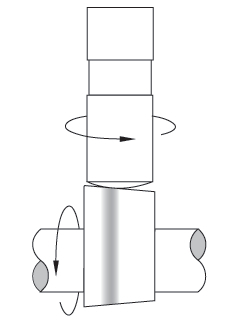 The increased pushrod angles found on the BBC and poor preparation can make cam lobe failure after initial fireup a distinct possibility. 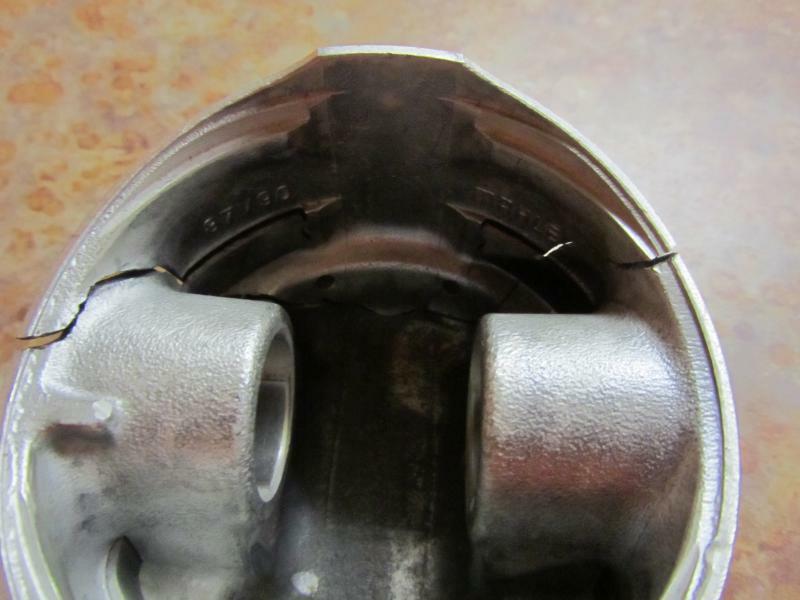 You can help prevent this cam lobe failure by making sure the engine is prelubed prior to intial fireup. 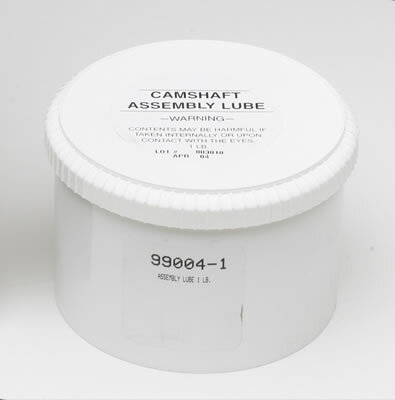 Use a good high pressure lube on the cam lobes and lifter bottoms during assembly. If possible use a lighter pressure stock valve spring (or if using a valve spring with multiple springs, take out some of the inner springs) to intially run the engine. Then switch to the heavier pressure springs after break in. When the engine is first fired up, keep the engine rpms at 2,500 or above, don't let the engine idle for 20 minutes or longer. This keeps lots of oil splashing up on the cam lobes. Make sure the engine can be run for this time period by having enough fuel available, ignition timing set correctly, coolant available for the motor, valve lash set correctly, etc. The idea is not to crank the motor over excessively before it starts up for the first time. If your BBC flat tappet cam survives this initial break in period, it will be good to go for many miles. After the initial engine breakin, drain the oil and change the oil filter. 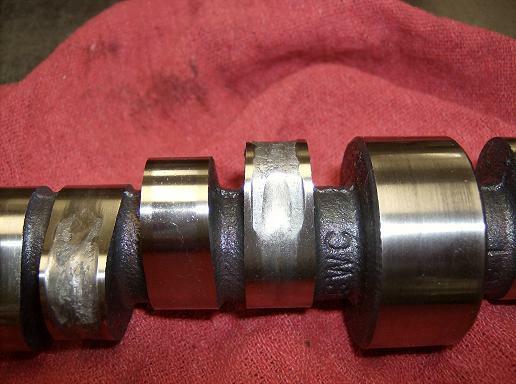 Roller cams generally do not suffer these types of cam lobe failures during initial engine fireup. 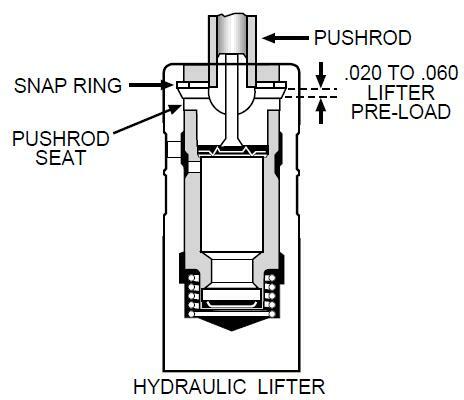 if youve adjusted the valves correctly the lifter spins at all rpm levels,but that does NOT mean it wears EVENLY at all rpm levels due to several factors if you look closely AT FLAT TAPPET CAMS youll see that the center of the cam lobe is NOT centered under the lifter and that the lifter surface is slightly angled , BOTH these factors force the lifter to spin in its bore as the lobe passes under the lifter slightly off center. before starting the engine and prefill the filter and pre-prime the oil system before starting the engine. 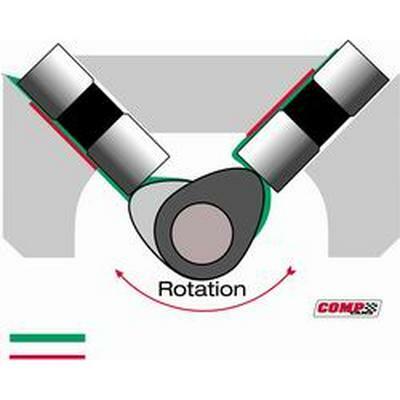 if you've adjusted the valves correctly the lifter spins at all rpm levels,but that does NOT mean it wears EVENLY at all rpm levels due to several factors if you look closely AT FLAT TAPPET CAMS , youll see that the center of the cam lobe is NOT centered under the lifter and that the lifter surface is slightly angled , BOTH these factors force the lifter to spin in its bore as the lobe passes under the lifter slightly off center. before starting the engine and pre-fill the filter and pre-prime the oil system before starting the engine. I normally pour it in just before starting the engines cam break in,procedure. because I want to make sure that nothing in the oil/E.O.S. mix can settle out from sitting over a long period of time. now if your running a flat tappet cam you should have also used a moly cam lube on the lobes and be using a mineral base oil for the break-in procedure, and you'll need to do an oil and filter change after about the first 3-4 hours running time to remove that moly cam lube from the engine after its served its purpose of protecting the cams lobes and lifters at start up, and AS THE LOBES/LIFTERS LAPPED IN. 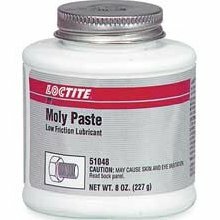 MOSTLY to prevent that moly grease and E.O.S from potentially partially clogging the filter after that mix cools down,but also because both those lubes might leave deposits in the combustion chamber ,over time that might aggravate detonation. even G.M. suggests that E.O.S. 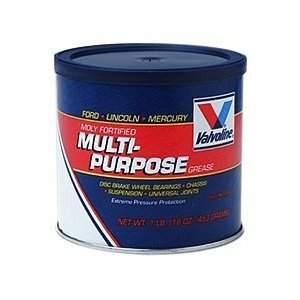 is not a great long term oil supplement, and that its main function is to add extra oil film strength during new engine break in. or if the timings RETARDED, and while the rings and valve train break_in (LAP IN)so a moly cam lube and a quart of marvel mystery oil and some E.O.S. or crower lube helps reduce heat. 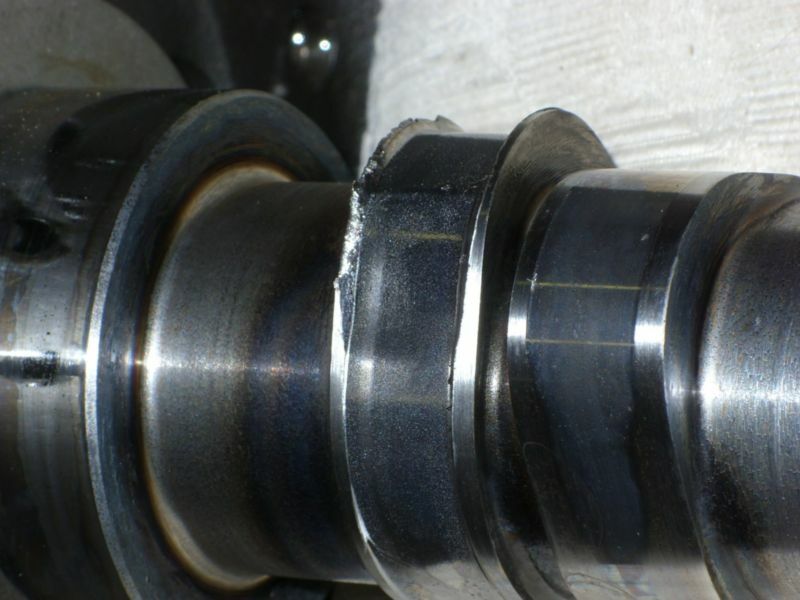 There has been a lot of discussion regarding the increase in flat tappet cam failure the last few years. Much finger pointing goes toward our only domestic flat lifter supplier, Stanadyne. We started using Stanadyne lifters about a year and a half before the lifter shortage hit. We had NO increase in lifter failures when we changed over. The lifters look different so there was no old stock involved or anything like that. One order we got Eatonâ€™s and the next Stanadyneâ€™s. 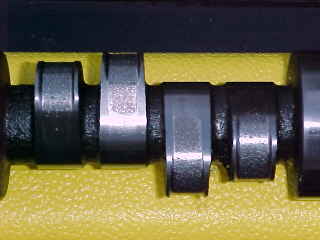 The primary visible difference was the Eaton lifters were Parkerized on the bottom and the Stanadynes were not. The metering system is also different. 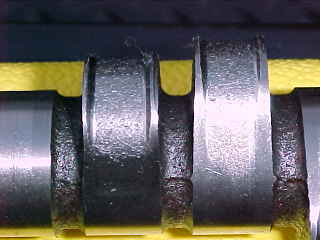 The Parkerizing is a protective coating used on cams and sometimes lifters that disappears a few seconds after startup. 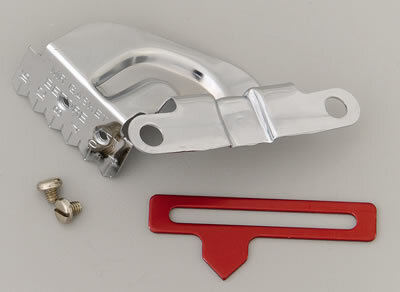 This coating is deposited in an acid solution that slightly degrades the finish on the lifter foot. According to Stanadyne, they have made no change in their lifter manufacturing procedures or materials. 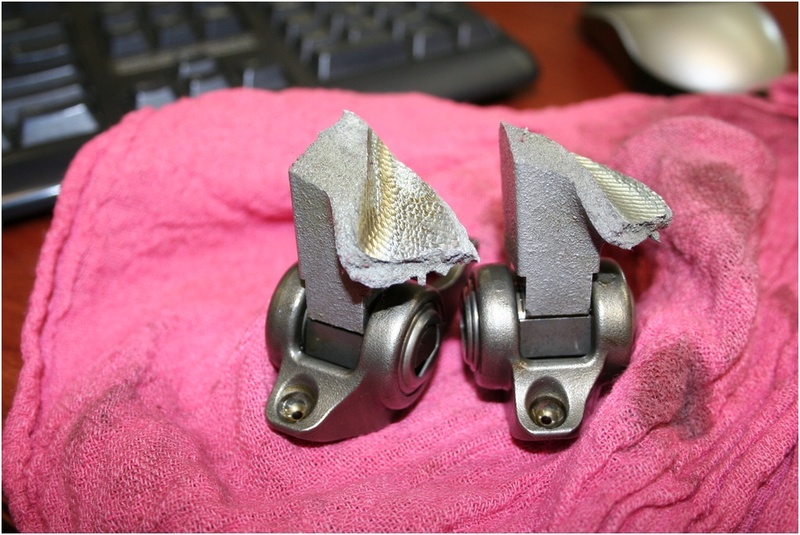 Chrysler Corp. stopped Parkerizing all their cams many years ago when they discovered this degradation of the surface finish actually contributed to cam failures in their 2.2L OHC engines. 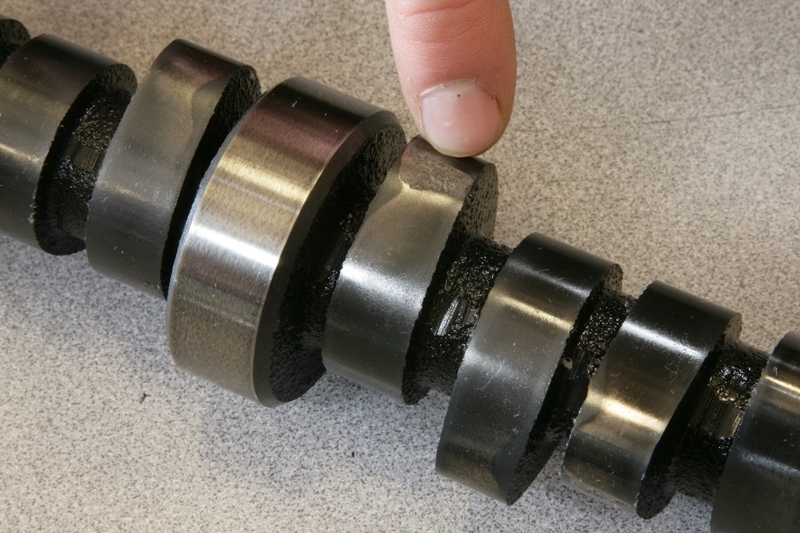 Almost all domestic camshaft castings come from the CWC foundry in Muskegon, MI. The heat-treating is done at the foundry. While there can be several different casting patterns used for each engine, the material is usually identical except for the P55 castings. The heat-treating is also identical. There have been no changes at CWC or at their customers supplying semi-finished castings to the performance market other than some increased automation. About the only significant difference in the castings is the lobe width, with wider lobes offering greater load carrying ability. A very useful web site with lots of oil related information is www.bobistheoilguy.com. I had only a few minutes to peruse the site but it had lots of very useful information. Check it out! Another significant factor is the increased use of synthetic oil. 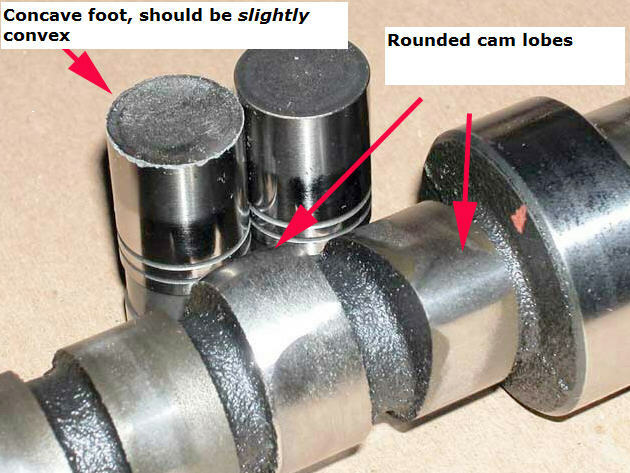 While some synthetic oil works ok with flat tappet cams, many do not. 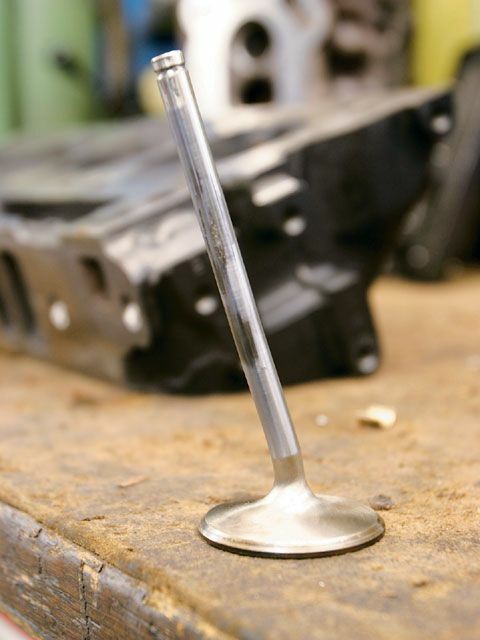 Never break in a fresh engine with synthetic oil. There are no cam grinders that I know of that recommend the use of any synthetic oil with flat tappet cams. 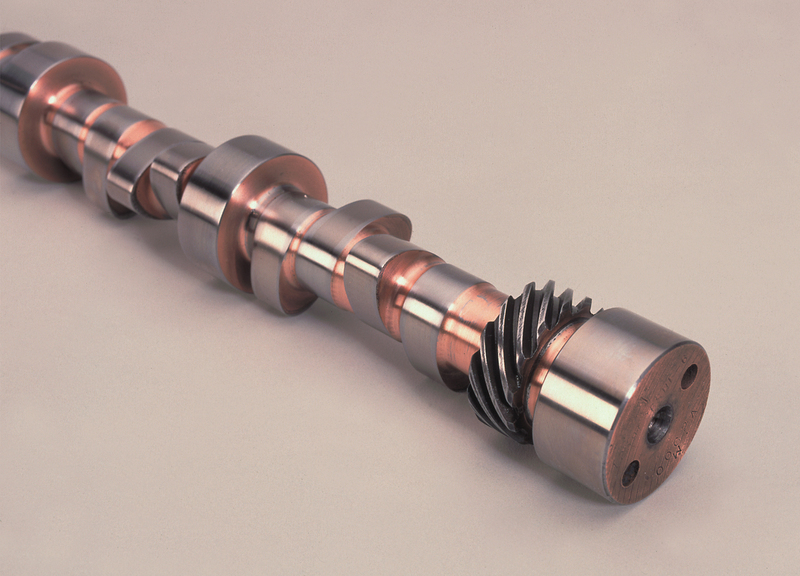 The use of synthetics is primarily needed in very high temperature or low temperature applications. 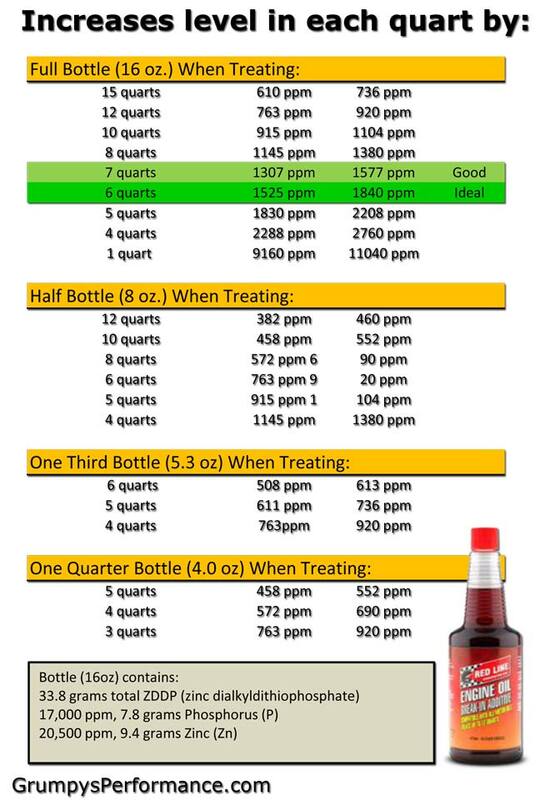 If you properly control the oil temperature you have less need for synthetics. Several of our customers add 2 quarts of conventional oil to their synthetic oil with good results. 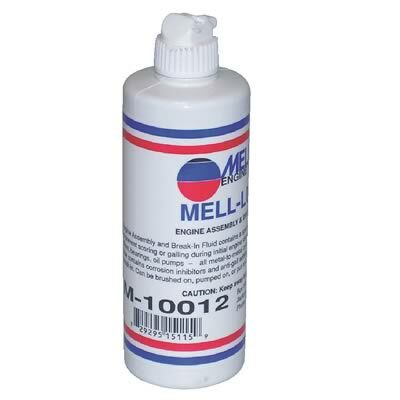 An excellent additive with high zinc content is General Motors EOS. 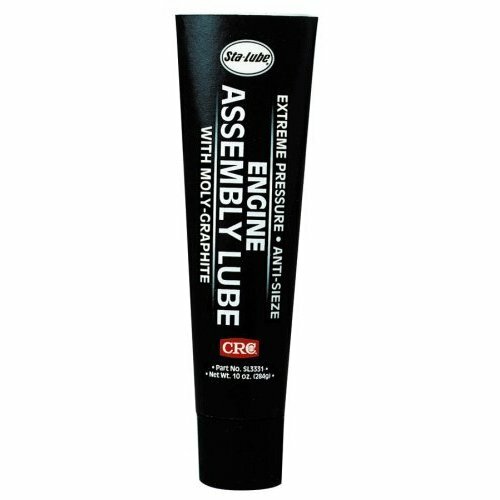 I havenâ€™t seen a new bottle yet but I have heard that the label has been changed from engine oil supplement to engine assembly lubricant so it wonâ€™t be used as an oil additive regularly. 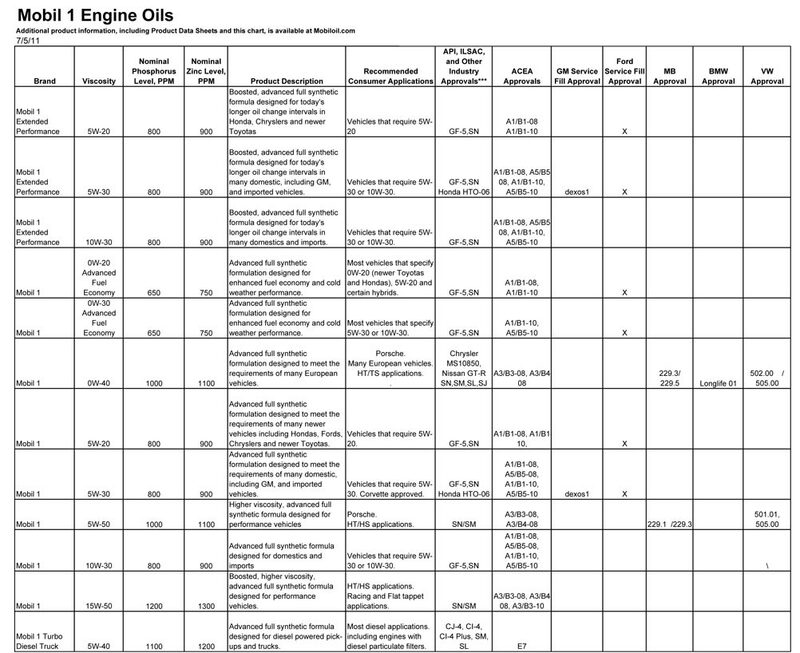 I have heard on good authority that EOS is not compatible with Mobile 1 synthetic oil. That doesnâ€™t necessarily mean anything as to compatibility with other synthetic oils. Other companies such as Prolong, have similar additives. Another significant factor continues to be lack of proper break in procedure. 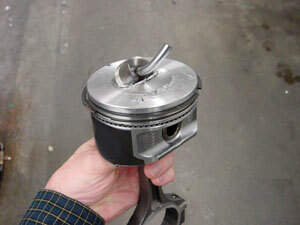 While many engine builders remove the inner spring for break in, often this is not enough. Higher rocker ratios popular today mean increased spring pressures and very significantly higher stress across the nose of the lobe. 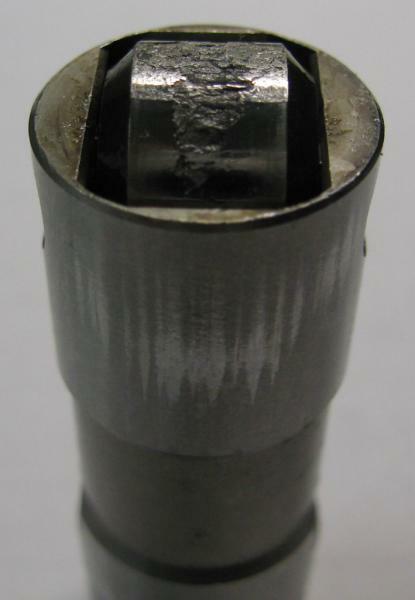 Often the open pressure with outer springs only is still too high for proper break in with these higher ratio rockers. We like to see open pressures less than 275 lbs for break in. 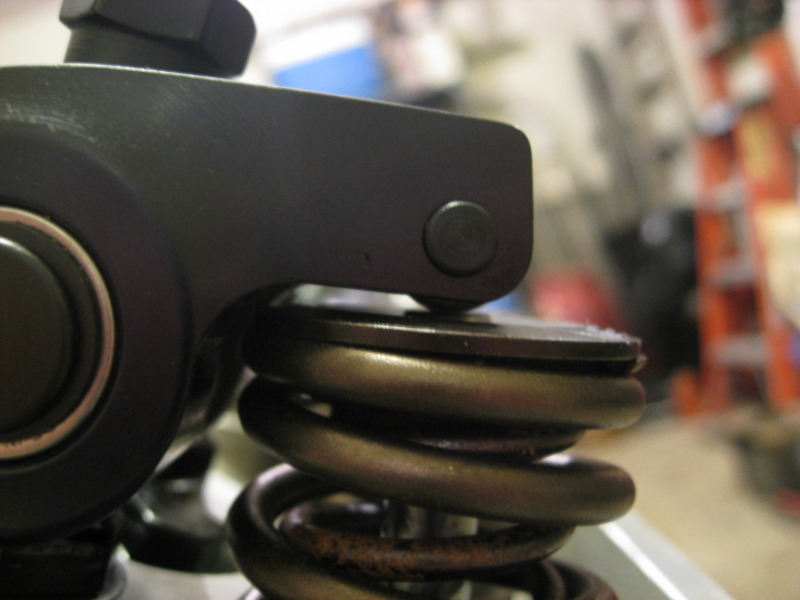 The best break in involves 1.2 or 1.3 rockers with the inner springs removed. 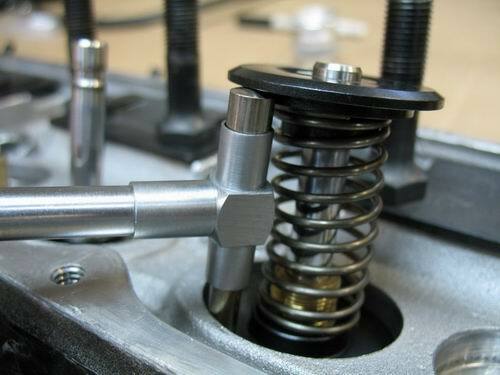 After 30 minutes at 1500-2500 rpm install the inner springs and run with the break in rockers. Next run with 1.5 rockers, and then with the final rocker ratio to be used. This is time consuming to say the least but not nearly as time consuming as disassembling the engine to clean out several ground up lobes and buying gaskets, rings and bearings at the least. 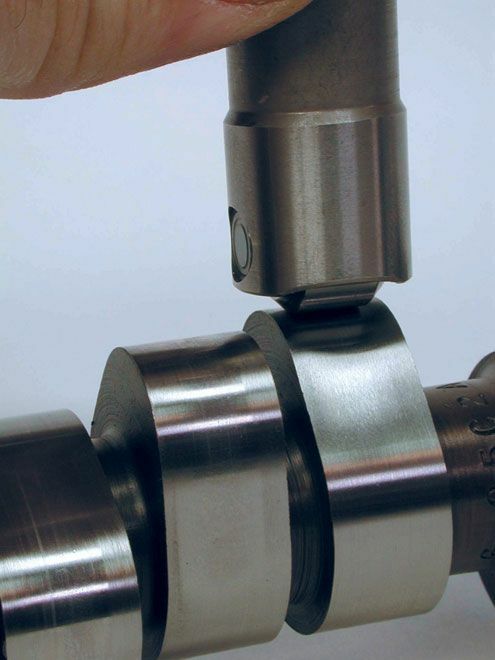 Our customers that follow this procedure have far fewer cam failures than the ones who donâ€™t. It is very important that the engine fire immediately. 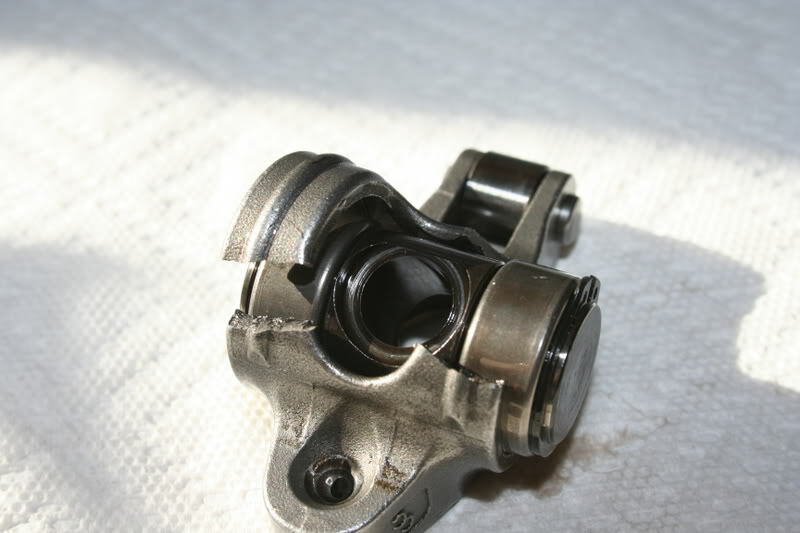 Excessive cranking will wipe the assembly lube from the cam and lifters. Be sure the timing is set and the carb full of fuel. The engine should run between 1500 and 2500 rpm for about 30 minutes. Vary the speed a bit during the break in. 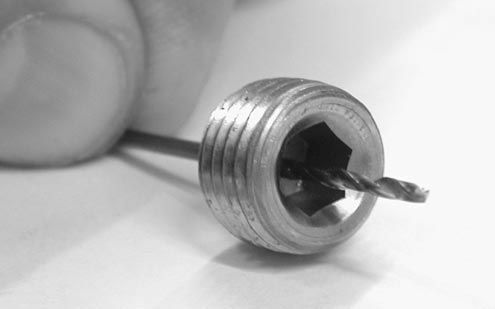 Many customers like to point the finger to soft lobes or defective castings. Having a soft lobe is as likely as putting your hand in a bucket of water and having 1 finger come out dry. A single soft casting is unlikely as well. 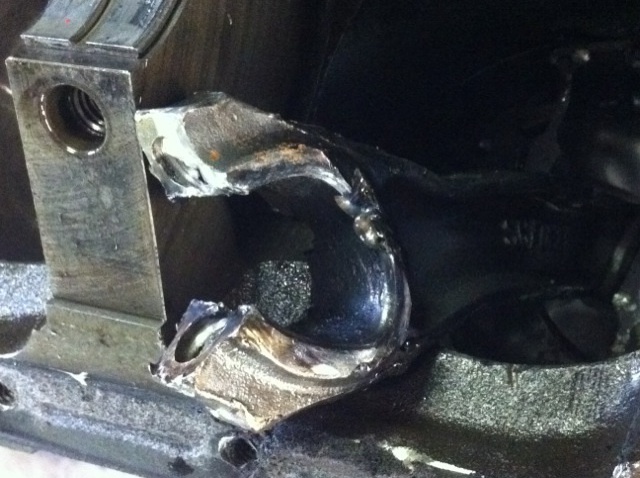 We buy Small Block Chevy castings 65 to 150 at a time. If there is a defective batch of castings then we are going to see a huge number of failures in the space of a few days from several different customers. If you have 1 or 2 worn lobes and the rest look fine then there is nothing wrong with the cam. 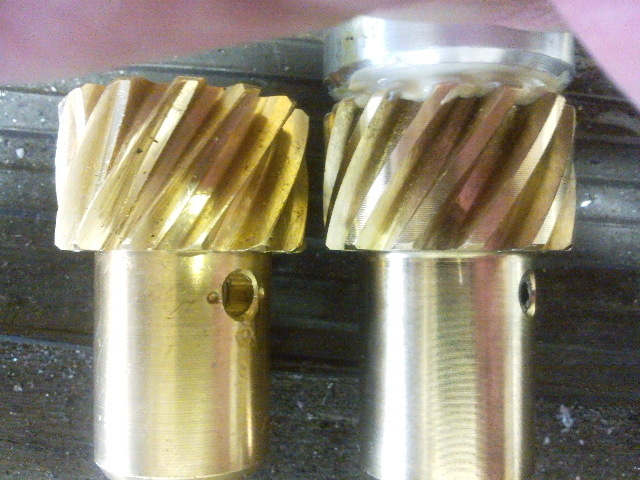 About the only issue that the cam grinder controls is the taper on the lobe. Even this can vary a bit with no ill consequences. Another less obvious factor is the lobe lift for a given duration and rocker ratio. A lobe design that has too much lift for the duration will have a sharper nose radius. 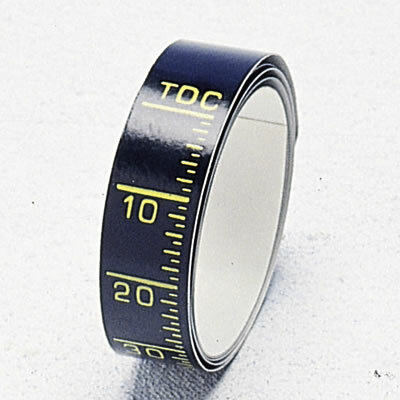 This has a detrimental effect on wear and is greatly aggravated by high rocker ratios. Sometimes it is advantageous to use a little less lobe lift to still take advantage of the faster valve opening offered by the higher rocker ratio. Then there are the failures that we can only file under â€œstuff happensâ€. We see strange things, like obvious indications that the lifter was not rotating for a short time but with no major failure. 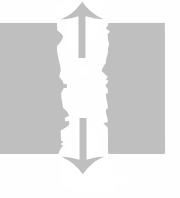 This is often indicated by a thin line the width of the lobe on the bottom of the lifter. It can be seen and felt easily. 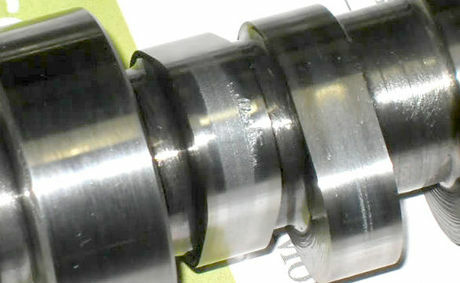 We have seen this several times in cams with 6 or more races and significant dyno time that have virtually no cam wear. After replacing the lifters there were no further problems. Obviously the lifter had started rotating again at some point. 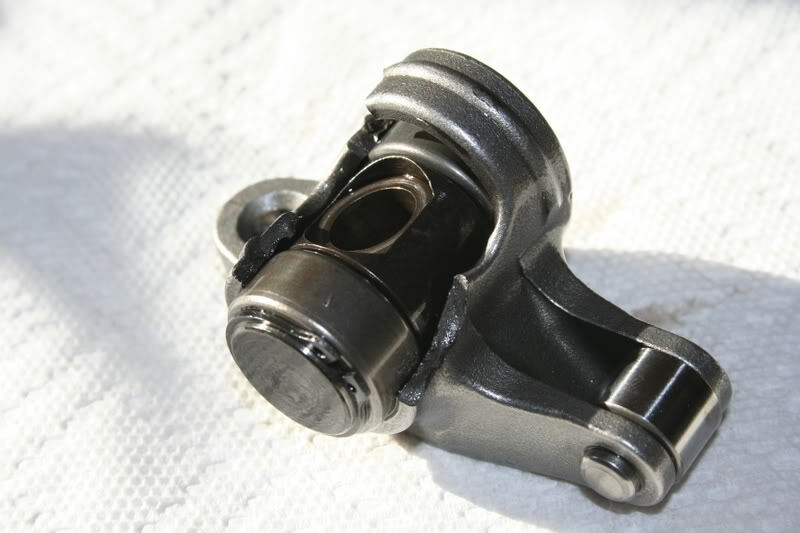 Lifters frequently donâ€™t rotate much if at all at idle or low rpm. 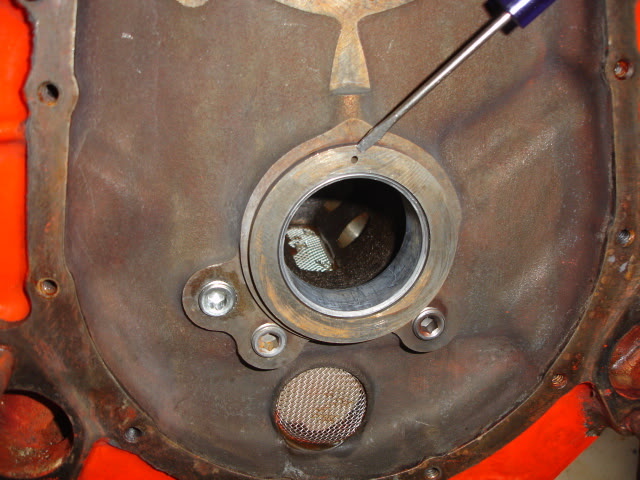 Some engine builders cut a slot on the inner side of an old valve cover so they can observe pushrod rotation at higher engine speed without getting an oil bath. It is critical to make sure race engines do not idle at low rpm for prolonged periods. 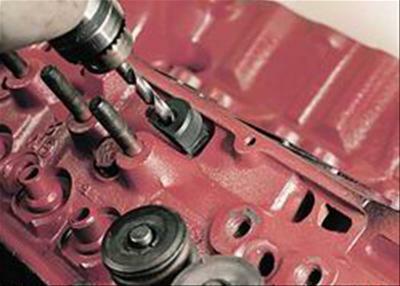 The cam and lifters depend largely on splash lubrication for survival and there isnâ€™t much splash going on at idle. Also the lifters will rotate less at low rpm. I am a great believer in preheating the oil and water in any performance engine. It can be difficult to heat the oil for some but anyone can put hot water in the radiator for initial startup. A small torpedo heater can be used to warm up the oil if you donâ€™t want to spring for a little heat pad that sticks on the oil pan. Some people use a heat lamp near the pan for an hour or so. 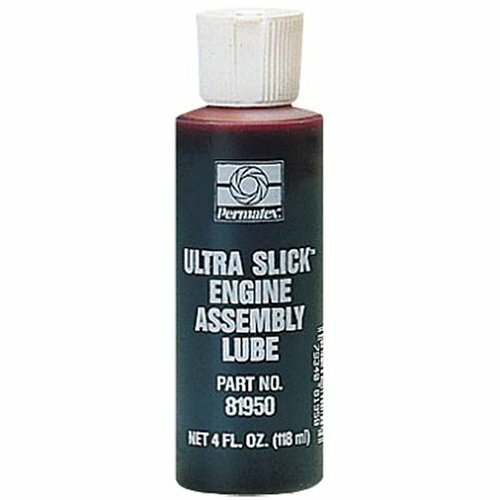 It is also important to initially break in the engine with lighter oil so it can get circulating more quickly. We donâ€™t have to worry about heavy loads or high temperatures during break in. Sometimes, despite your best efforts, you still wipe out a cam occasionally. If the proper procedures were not followed then you know why. Often people say, â€œI never did all that stuff before and never had a problem. Why should I do it now? Todayâ€™s cam profiles are very different from those of a decade ago. They impose a higher load more quickly than older designs due to higher acceleration rates and frequently have higher lift. 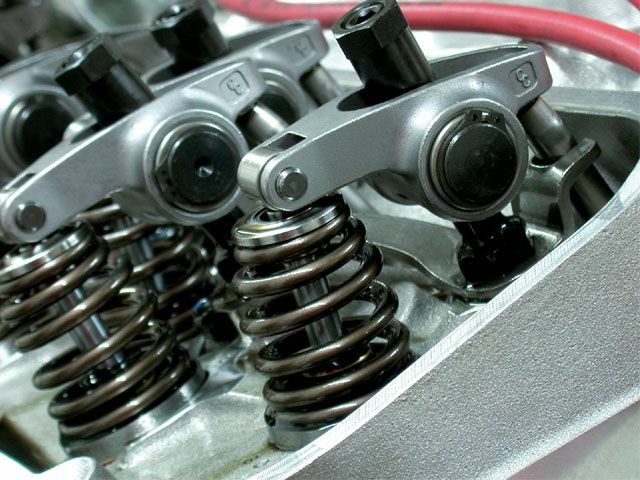 Also valve springs are significantly improved and often have higher open pressure. 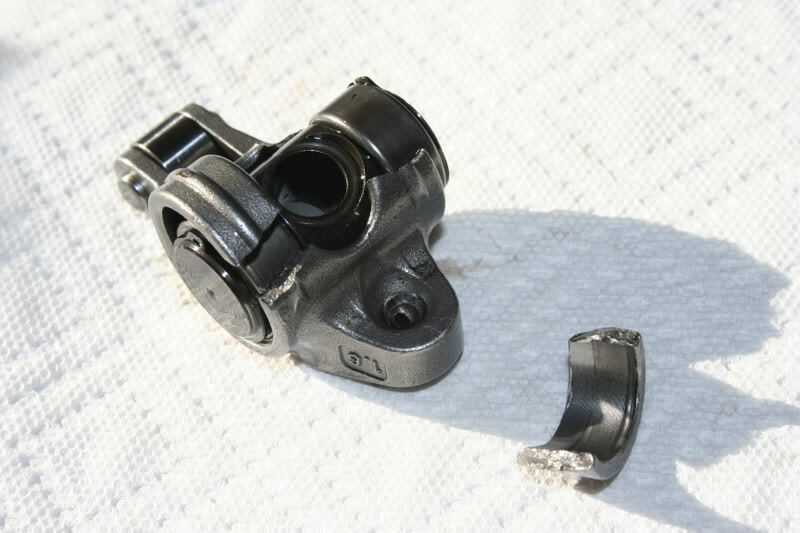 If you donâ€™t follow proper break in procedure then you will experience cam failure sooner or later. 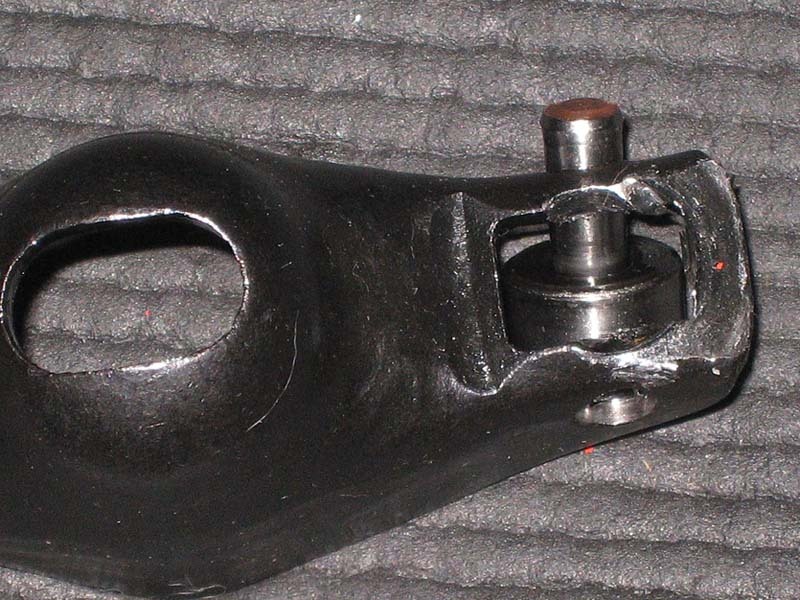 Another frequently overlooked item is truing the lifter bores. 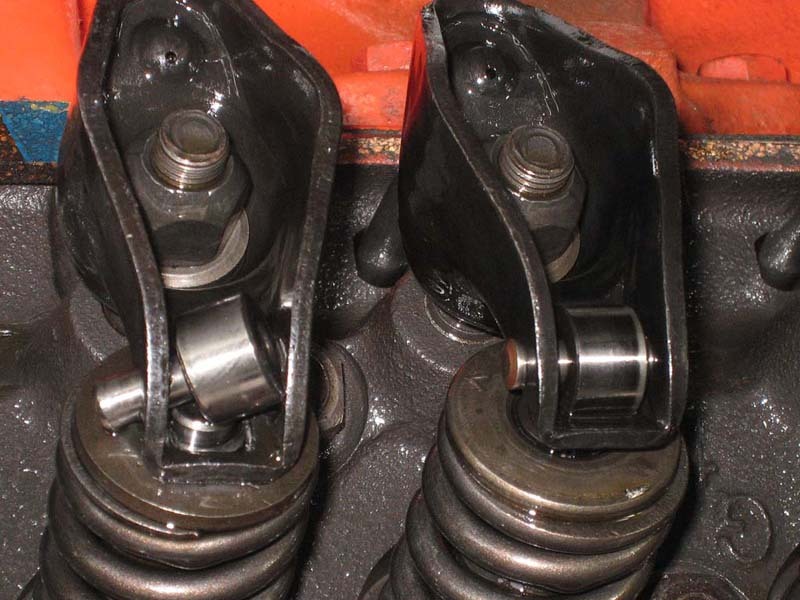 Lifter bores are frequently not located properly even in brand new blocks. 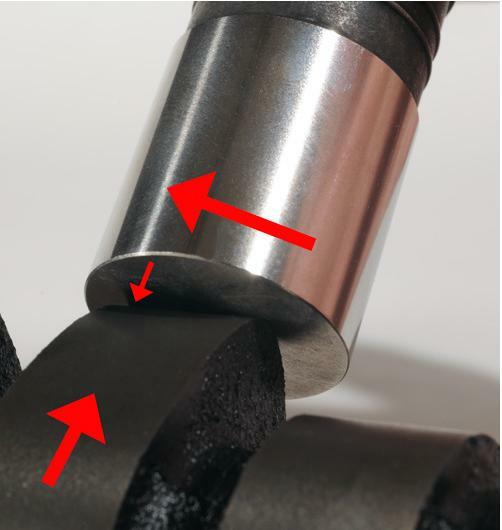 Even if they are not tilted fore and aft, which would create excessive wear, they can be mislocated axially which would change the cam timing on those cylinders causing a loss in power. Even brand new blocks should get lifter bores trued, bushed and precision bored and honed. 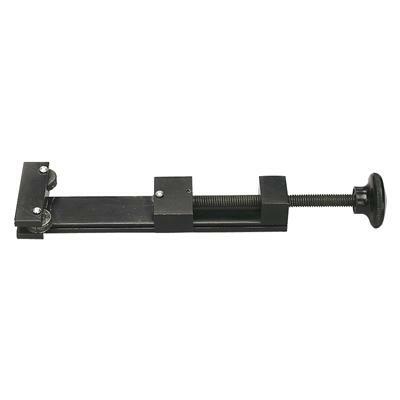 The lifter bore clearance is different for different types and diameter lifters. Check with the lifter manufacturer for proper clearance. When you use 1.2 or 1.3 rockers for break in, be sure to trial fit them before final assembly of the head. 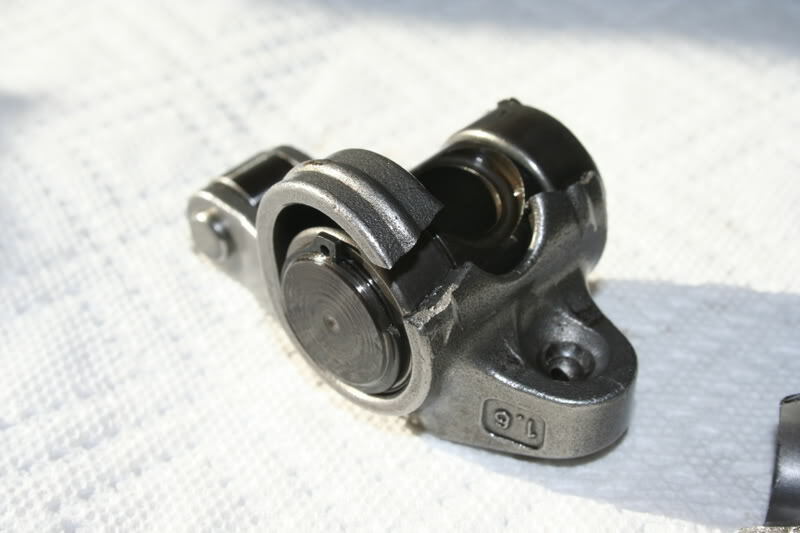 They frequently require elongation of the rocker arm slot or hole away from the rocker stud. This is the opposite of the work required for high ratio rockers that require machining the slot toward the stud. 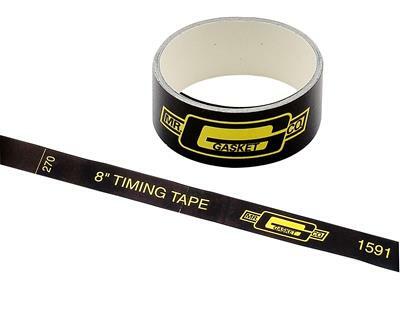 Following all the proper procedures for cam and lifter break in doesnâ€™t necessarily guarantee you will never wipe out a cam but it increases your chances for success 10 fold. 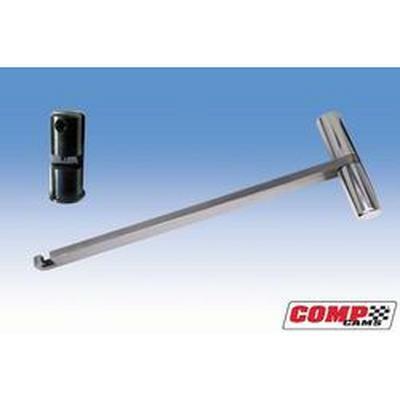 We have several NASCAR Late Model Stock customers that get 2 or even 3 seasons out of a cam and lifters. They typically race 75-150 laps every week + practice and qualifying. That represents a lot of laps. Everyone should be evaluating their break in procedures. You can spend a little extra time initially or much more time and money doing it over later. Be sure to evaluate your oil and be certain it contains zinc. It is a good idea to use an oil additive high in zinc content. 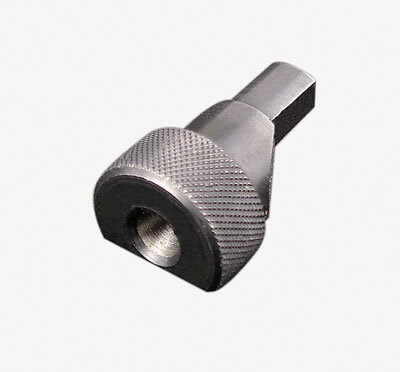 Flat tappet cams can provide long life and very good power output if they are properly installed and broken in carefully. 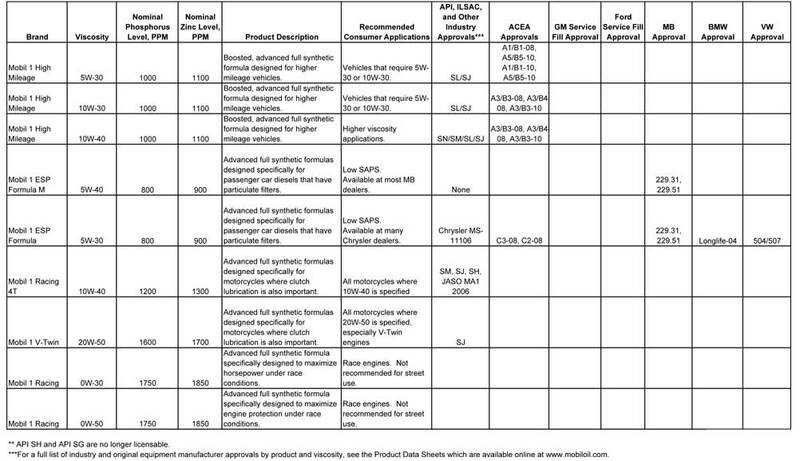 youll be best served following the manufacturers suggested clearances or (LASH). 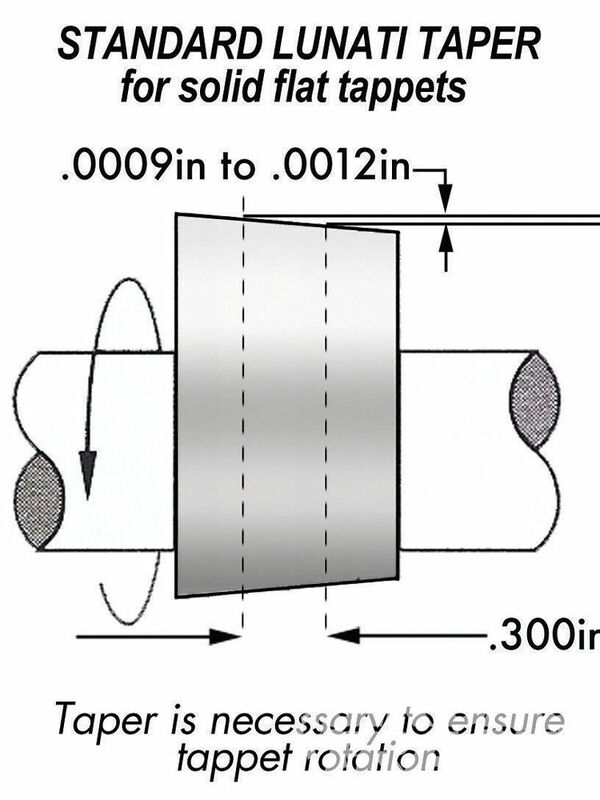 if your running a solid lifter cam, if they suggest .016 than set them at that, its not critical that they are EXACTLY .016-018,should be fine, but get it as close as you reasonably can. 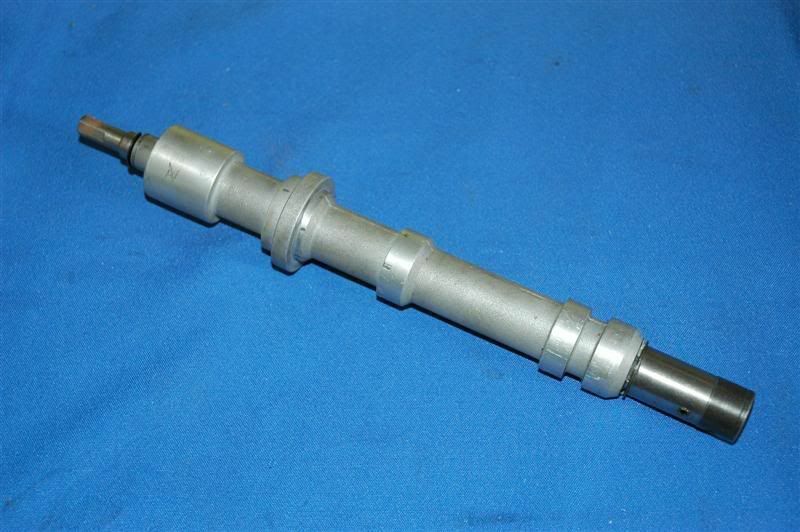 don,t forget as many guys do, that swapping to a higher ratio rocker changes the push-rod rocker geometry,and clearances, and may require a different length push-rods. 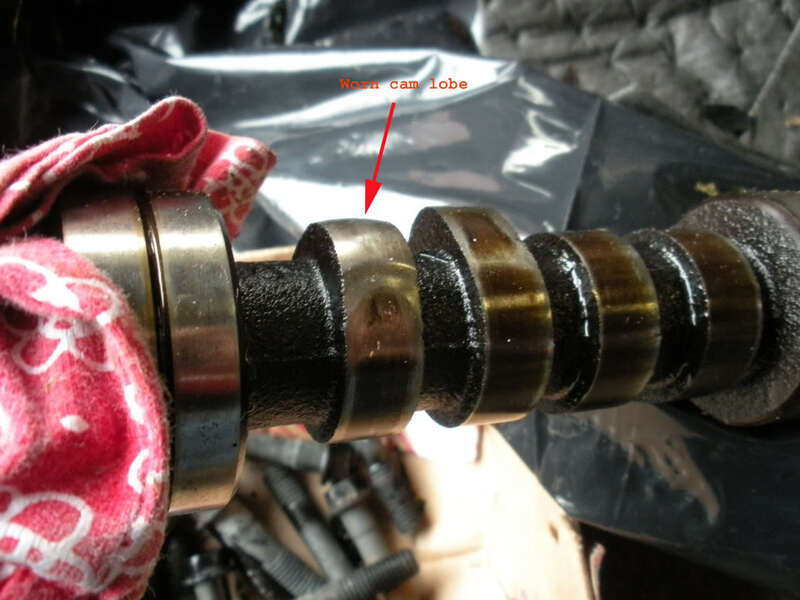 if you have a cam lobe or lifter fail, in about 99% of the cases its not a (BAD CAM) its a clearance or lubrication or valve train geometry issue, you need to correct or its almost sure to be repeated. 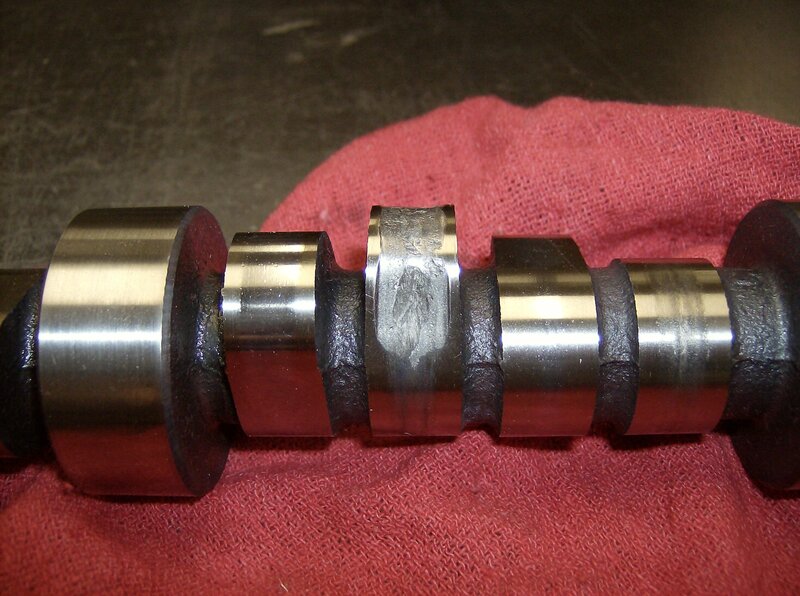 if you have not replaced the cam bearings and other bearings and cleaned the passages in the block after a cam fails chances are very good it will continue to happen, all that metalic dust from the cam lobes and lifters did not and never does get 100% trapped by the oil filter, and it only takes a bit circulating with theoil flow to start screwing up the new lifters and cam lobes. Starting with a clean block,getting the clearances correct, and adding a couple magnets and a baffled oil pan with 7-8 qts capacity will be a good start, making 100% sure the valve train clearances and geometry and spring load rates are correct goes a long way toward preventing future problems......just slapping a new cam and lifters into the block after a cam failure has a low chance of having good long term durability. 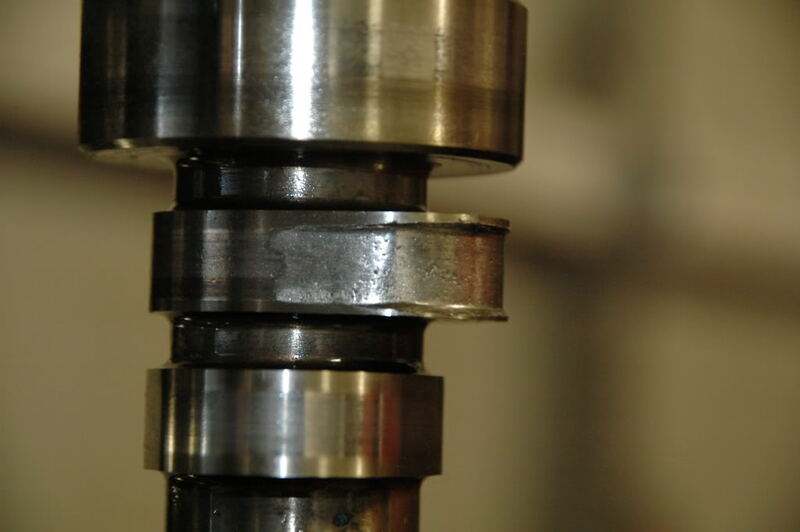 use of quality oil filters , high capacity oil pans and ADDING magnets , and use of a good MOLY assembly lube tend to limit the chances of crud getting into the contact points between the lifter and cam lobe but checking all the clearances, geometry and spring load rates will prevent many failures. 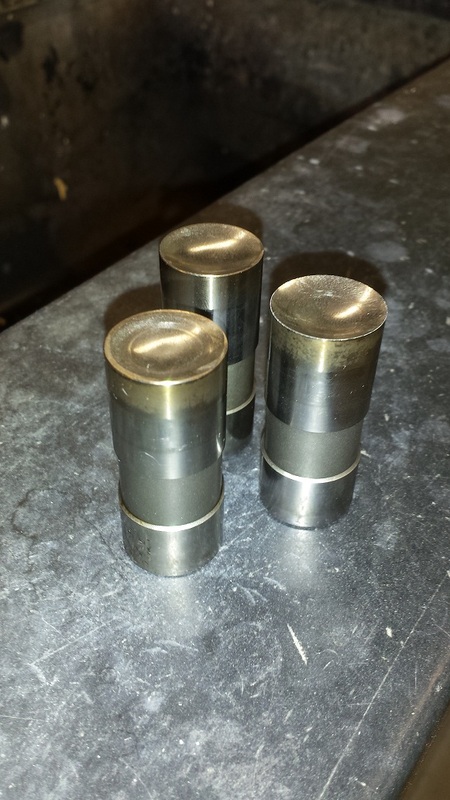 high spring loads don,t play well with roller cams over long term use, heres a very clear example of why you should only use Billet cam cores with roller cams having over about 320 lbs of spring pressure and why you MUST verify valve train geometry and clearances. what lubes to use,how to adjust and clearance valve trains, use of magnets to trap metallic crud and limit damage, which filters to use, etc.